This was received today, if anyone recognises the items, please get in touch, and we will try to get your details across to the person that found them. Before Christmas I found a black and gold striped carrier bag in the road outside our house in Queens Close. 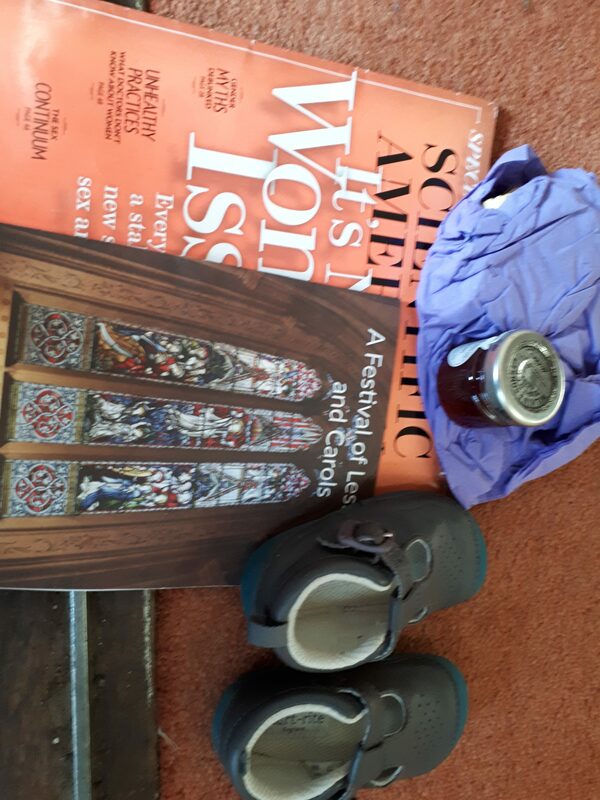 Inside was a nearly new pair of baby shoes, the Scientific American, a scone and jam and the booklet for the festival of Lessons and Carols. I picked them up as didn’t want the bin men thinking of removing them, and wanted to try and find their owner. Unfortunately I had no joy (and consequent Christmas festivities meant this was then forgotten) so I am hoping maybe, that you have had someone make contact with you?